● Kevin Harvick started fifth and finished second, earning nine bonus points. ● Harvick raced the Mobil 1 Ford to the lead by lap 34. ● He surrendered the lead to come to pit road under green-flag conditions on lap 38 for four tires and fuel. ● The No. 4 Ford raced back to the lead on lap 50. 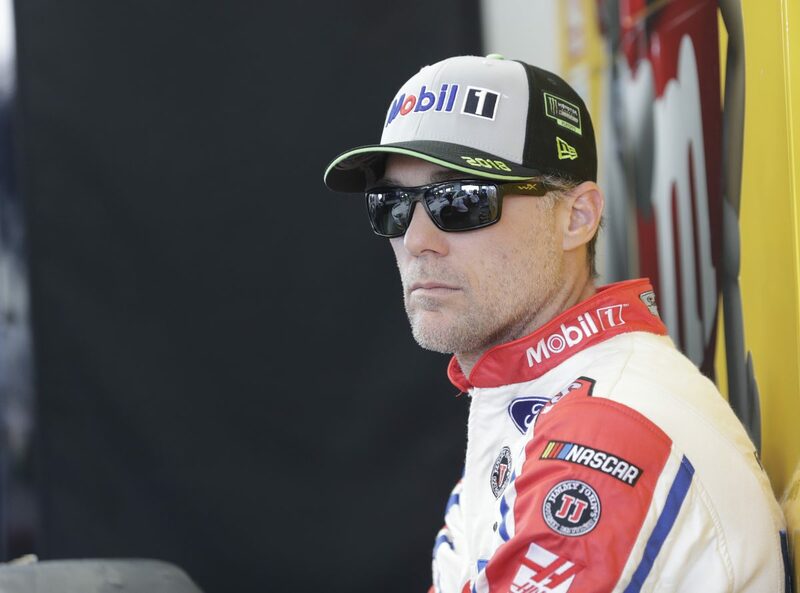 ● Harvick dropped back to second when the No. 78 completed the pass for the lead. ● The Mobil 1 Ford came to pit road at the end of the stage for four tires, fuel and wedge and air pressure adjustments. ● Harvick started fifth and finished 37th. ● He raced up to the fourth position by the lap-90 caution, and the team decided to stay out. ● The No. 4 Ford restarted fourth on lap 93 and raced up to the second position. ● Harvick brought the No. 4 Ford to pit road for four tires, fuel and air pressure adjustments on lap 112. ● The Mobil 1 Ford dropped back to the seventh position on the restart, and Harvick noted the car wouldn’t turn. ● Harvick raced back into the top-five by lap 137, but again he noted an issue with the tire. ● The No. 4 Ford cut a right-front tire on lap 147, resulting in heavy contact with the wall between turns one and two and ending Harvick’s day. ● Harvick finished second in Stage 1 to earn nine bonus points. ● Harvick led twice for 14 laps to increase his laps-led total at Las Vegas to 452.